Digital coupons represent the fastest growing segment of the coupon industry, and accounted for 10% of all coupons redeemed in 2010, up from 1% in 2006. The market for online coupons is expected to reach $5 billion in 2011 with mobile accounting for just 15% of the overall digital market. However, in a recently published study, ARCchart expects mobile’s share of the digital coupon market to steadily grow over the coming years, generating revenues of $9 billion by 2016. As newspaper readership declines and consumers increasingly look online for savings, digital coupons are gaining significant momentum. Higher smartphone penetration has provided a solid base for coupon providers to build their propositions, either through an aggregator service such as Groupon or LivingSocial, or via brand-specific loyalty sites designed, built and distributed by the brands themselves. Improved handset cameras and displays have turned phones into scanners, enabling coupon technologies such as QR codes and Microsoft tags which offer a richer experience than traditional MMS-based barcode which suffered from reliability and compatibility issues. Although NFC will take time to gain traction, ARCchart expects that this emerging technology will eventually provide a substantial boost mobile couponing. Local content and social sites like FourSquare are using the combination of GPS and mobile vouchers to create compelling and contextual services for opt-in subscribers. Retailers also see the benefits of creating localized or on-the-fly offerings to increase footfall, with pioneers like Starbucks running campaigns to promote new products. The mobile coupon space has seen significant activity over the last two to three years as companies jostle for dominance, and the ARCchart study provides a detailed analysis of the mobile couponing ecosystem, examining in particular the recent spate of M&A activity taking place within the industry. 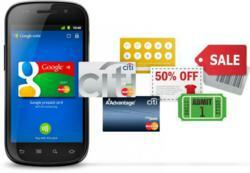 PayPal’s recent announcement that it too will dip its toe in the mobile coupon market starting in the first quarter of 2012 ensures that the market will continue to ramp as major industry players stake out their position.